Happy Holi to my Indian friends! 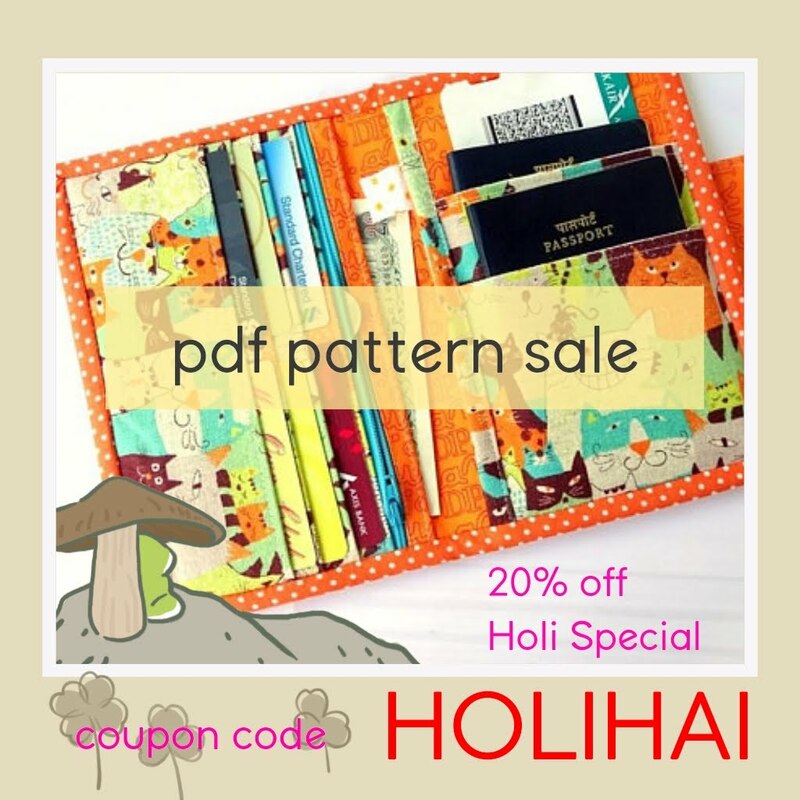 And if you plan to sew something this long weekends, I am currently running a HOLI special for All the Pdf Sewing Pattern in my shop! 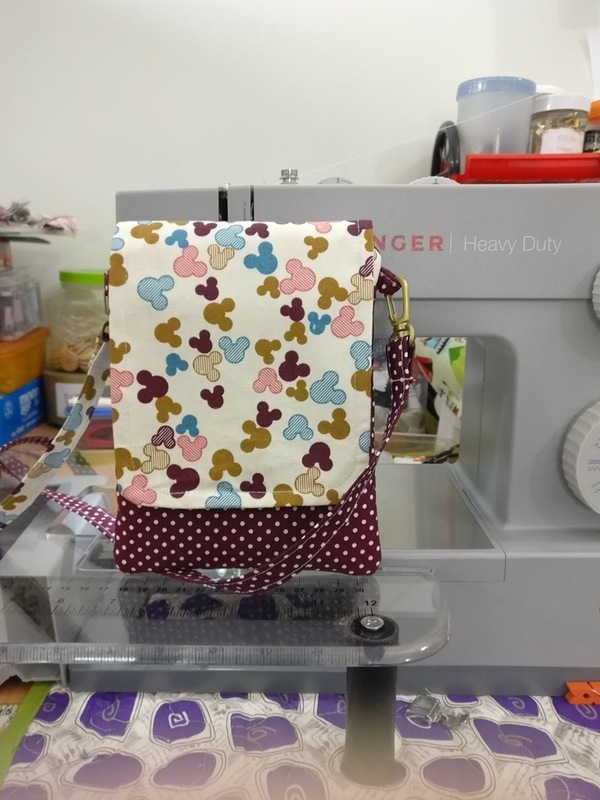 Grab one and start sewing for your loved ones! 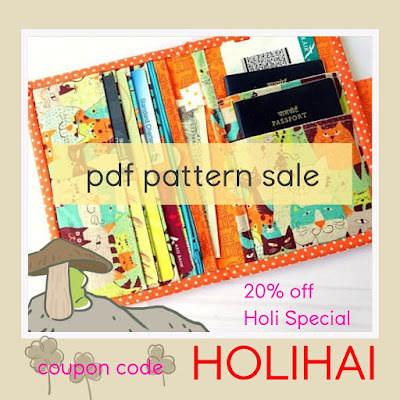 Ah the coupon code is HOLIHAI. The sale will be valid through Monday! You also can find the link on the right panel of the blog. And if you have any question, you can always email me! In the meantime, I almost finish with my pending orders. Well, February indeed was a busy month for me. I thank God for that. I made a few family passport holders as custom orders from my Etsy Shop. I am also happy that I finished off a couple of prints. 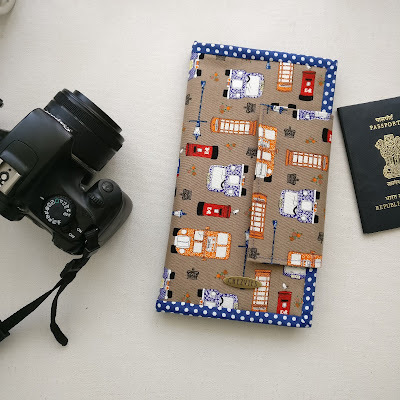 Those who know me, I hoarded quite a lot of fabrics whenever I travel abroad with the plan to make wallets. Well, the plan is still on, but the sewing has been very slow lately. This travel print is the new print and I will be listing it in the shop shortly. Sewing the same pattern using different print really made me so happy. Because I get to use up my stash! Ha! Now, I have this log cabin bag to complete. I'm a little bit behind the schedule this time. I always love the patchwork making process, but when it comes to quilting it, I always think like 100 times even for the smallest project. 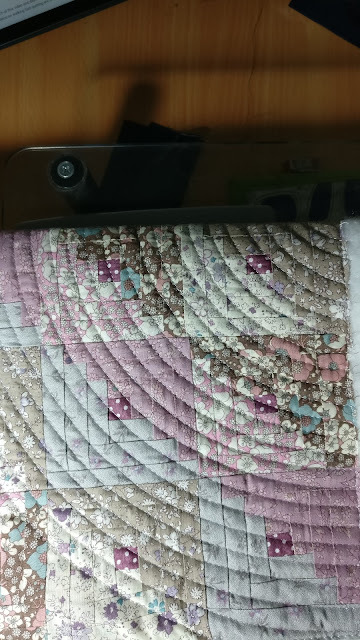 After perusing pinterest, youtube and blogs and asking opinions from my expert friends, I finally decided to do the echo quilting!..well, more about it in the next post. Now, I better finish the bag! Stay tuned for the bag photo in the next post!